X-Pac 1, 2, 360 Recap - Royal Rumble/Takeover Thoughts, Can Andrade Win The Rumble? New All-female Wrestling Show Debuts, More! X-Pac opens today’s show by sharing some thoughts on this Sunday’s Royal Rumble event. He points out that he’s been enjoying a lot of the women’s work on WWE programming lately, especially some of the backstage brawls, but he’s looking forward to both the men’s and women’s Royal Rumble matches equally. He points out that the female talents are hungrier these days and that is developing into some great content. He points out that the quality of the women’s rumble match should be great, especially because the stakes are so high. He really thinks that the winner of this Sunday’s women’s rumble match will be in the main event of WrestleMania. 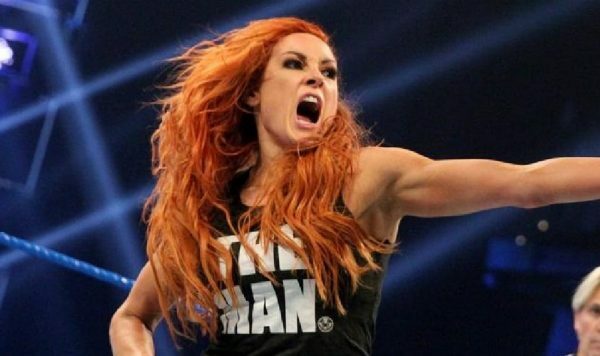 He suspects we might see a triple threat match between Ronda Rousey, Charlotte and Becky Lynch close ‘Mania this year. On the other hand, he notes that maybe a Title vs. Title match would work, with the RAW and Smackdown Champions facing off. He thinks Rousey is a lock for the match on the RAW side, and either Lynch or Charlotte representing Smackdown can create a “money match” if WWE books it right. X-Pac addresses whether he thinks Andrade will win the men’s rumble this Sunday. He says, “I don’t see it”. He points out that Andrade’s doing great right now, but he doesn’t see a rumble win in Andrade’s imminent future.